I visited Goa with Amanda between 14th and 29th February 2004. The trip was arranged with Thomas Cook, staying at the Marinha Dourada, Baga/Arpora and flying from Manchester via Bahrain with Monarch. Total cost was £1364 (£682 each) for Bed and Breakfast plus in-flight meals and transfer costs. At the time the exchange rate was 85.61 Rupees to £1. Visas were required from the Indian High Commission at a cost of £32 each - application forms are available online (Cost £82 plus tax for British passport holders 10/14).The form asks for two referees in India. Don't worry, just use your Tour Operator as a single referee - this is acceptable. The scheduled flight times were good, departing Manchester at 4.10 pm, arriving in Goa at 9.10 am the following morning. Returning, we left Goa at 10.40 am scheduled to arrive in Manchester at 6.15 pm the same day – we were actually 30 mins early, despite leaving Goa about 40 mins late. Transfer time to the Marinha Dourada by coach is about 1 hour, but can take longer when other hotels are also involved. Flights were fairly uneventful but very cramped. Monarch flies Airbus 300 planes with three rows of three seats across the body of the jet. Leg room is at a premium and the classification “Cattle Class” springs to mind. Departing Goa is also a nightmare of bureaucracy with up to 10 checks of individuals, baggage and documentation. The subsequent stay in the Departure Lounge is not the most comfortable and spacious in the world either. De-planing at Bahrain is quite painless and gives a welcome opportunity to stretch and get mobile again. Airport security is well managed and the facilities are good. The hotel appeared to be one of the best in the area and the Thomas Cook Rep said it was the best of the five she looked after including the Ronil Beach Resort. Although there was no hot water for early morning showers c 6.00 am we had no complaints for the rest of the day and only had two brief power cuts in the early evening. We never managed breakfast in the hotel as the service started at 7.00 am and we were always out birding by then. We lunched at the hotel on several occasions and the food was fine. The room was spacious with a fridge, air conditioning and a ceiling fan. The air conditioner stopped producing cold air approx 5 times; however repairs were prompt and efficient. The beds have very thin mattresses and are uncomfortable unless you are used to sleeping on a board. The laundry service is fast and cheap although the sheets are not “white” and have numerous “clean” stains and the towels are similar with and a strange residual odour – a remnant of the water/sewage system? 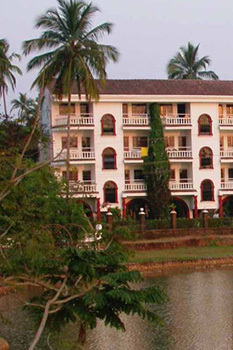 "As a fairly experienced visitor to Goa I feel that I should warn would-be visitors who may be looking for accommodation to steer clear of the Villa Fatima. In the past I have always stayed at well known hotels in the Baga/Calangute area and have found them to be less than luxurious but perfectly adequate. On my last trip (November 2004), I decided to look for alternative accommodation and found reference in various travel guides to the Villa Fatima. It was described as being 'clean and wholesome' or words to that effect, and it also had the added attraction of being close to the area that I knew well, i.e. Baga and Calangute. When my friends and I arrived at the hotel we were so shocked by the state of the place that we refused to stay there. It would be an understatement to say that it was filthy; for example, in the room that I had been allocated there was a colony of ants living under the menu card on a side table; obviously they had not been disturbed for some time. When I looked over the balcony of my room, there below was a substantial rubbish tip complete with rats. The whole place had the appearance of neglect.  We are still trying to obtain some recompense, so far without success." For the time being, at least, it would appear wise to give the Villa Fatima a wide berth! It was unusual to have a two course meal costing more than 800Rs for two (£10) unless accompanied by a bottle of wine which doubles the price. Taxi drivers struggled to find the Le Francais restaurant which only opens Monday to Thursday, but it is behind a well known restaurant called Maya (Indian) which was also recommended but we didn’t have the chance to go there. There are loads of restaurants everywhere covering all sorts of price ranges and if you wish to travel a little further afield the following also came highly recommended – Little Italy, Suzie Lobos (everything), After 8 (steak etc) and Au Reverie (fine cuisine), all in Calangute, plus Milco’s (salads etc) at Candolim. Lila Café at Baga River is also highly recommended (we went 3 times) however it is only open for breakfast and lunch until late afternoon. Daily temperatures increased during our stay and in the second week were regularly reaching 40°C in the early afternoons. Humidity was relatively low, but the best birding was done in the early mornings and late afternoons with welcome breaks back at the hotel where possible. In forested areas the temperatures were more bearable under the thick canopy. Locals told us that the weather was approximately one month ahead of itself. Getting a good guide/taxi driver is essential and following the advice of a number of Trip Reports on the Internet we contacted Abhi Naik by e-mail early in December 2003 as soon as we had confirmed our trip and by return had his confirmation he was available to guide us throughout our stay. All we had to do was call him on his Mobile when we arrived. The doubts set in on the flight as we met Paul and Mike from Sheffield, coincidentally sitting next to us, and they said they also had hired a guide by e-mail. Surprise, surprise, it was Abhi. Contacting Abhi on our arrival on Sunday we were initially fobbed off with a promise to meet at 6.00 pm Monday to discuss our requirements. After some pushing he said he was going out with another group of four to Maem Lake at 6.00 am on Monday and we could join them if we wished. Paul and Mike were similarly advised. Abhi said he would not be available to guide us the next day as he had agreed at the last minute to guide a party introduced to him by someone from the RSPB for 3 days. He said he would contact us at 7.00 pm on Monday evening when his arrangements were clearer to confirm when he would next be available. Having waited at the hotel for the call and sent a text to his mobile, we received a call from Abhi at 6.30 pm on Tuesday to say he had been able to arrange to take us to Carambolin Lake on Wednesday. By then we had already been to Carambolin Lake and had made alternate arrangements for the next few days as we knew from talking to other birders Abhi had already made arrangements to take them out. Although Abhi may be an excellent birder, his interpersonal skills and apparent greed in not turning groups away when he is already committed, leave a lot to be desired and his unreliability means I am unable to recommend him. The saviour of our trip was Lloyd Fernandes who Paul and Mike bumped into at the Biera Mar on their first two nights. They arranged to go to Carambolin Lake with him on Tuesday and at 6.30 am we turned up at the hotel gate on spec with all our gear in the hope we could join them. The rest as they say is history. Apart from the trips on the Zuari River and our three days at Backwoods we used Lloyd every day and had a wonderful time, clocking up 248 species and 148 lifers for me (reduced by a possible further 26 from a business trip to Bangladesh three years earlier). Lloyd operates under the name Birds & Breakfast and has been birding for 6 years. He runs a small coach seating c18 but 10 (European size) much more comfortably. Breakfasts are simple but very welcome, consisting fresh rolls, hard boiled eggs, cheese, jam, honey, plus tea and coffee. On the long day to Bondla lunch was also provided. Lloyd’s birding skills are excellent, he is immensely patient and a gentleman and I can wholeheartedly recommend his services to either individuals or groups. Five days after our arrival we were joined by our friends Pat & Judy Hayes from Stratford-upon-Avon, just in time for our first boat trip on the Zuari River and we birded with them, amongst others, for the remainder of our stay. Backwoods is a camp in the forest of the Western Ghats close to Molem – the Bhagwan Mahaveer Sanctuary. The camp is fairly basic, with six sheds and six tents plus open air shower and flush toilet at the rear of each tent. Pet tree frogs are sometimes a non-optional extra along with spiders and other creepy-crawlies. Having said this we had no problems with the wildlife apart from the occasional mosquito. Each tent/shed has two unforgiving beds plus a table and a fan. A mirror would have gained another star. Despite warnings that nights were cold, we were hot and kept the fan going all night. Food is basic Goan cuisine and only lightly spiced. I don’t like curry but never refused anything we were served up. 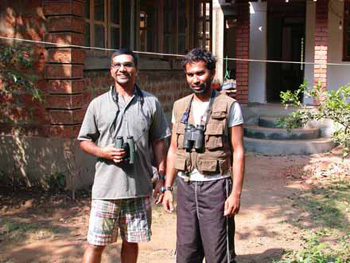 We were led by Pramod and Loven who are both excellent birders. The general camp routine involves tea and biscuits at dawn (6.30-7.00 am) followed by a walk in the forest, returning to camp for breakfast at around 10.30 am. After breakfast a second walk follows, until 1.00 pm when lunch is served. There is then a rest period until c 3.00 pm when tea and biscuits is followed by the third walk of the day which usually ends at dusk, looking for nightjars. All walks are around the camp and surrounding area plus the Tambdi Surla temple nearby. A stay at Backwoods can be organized by email (see Contacts). Up-to-date prices and further information can be found on their web site. We went on two trips on the Zuari River with Pramod, taking two different but similar routes, and enjoyed each immensely. Our two nights at Backwoods cost 4000 Rupees each (8000Rs - c £100 in total) and the boat trips were 750 Rupees each (2 x 1500Rs c £37.50 in total). 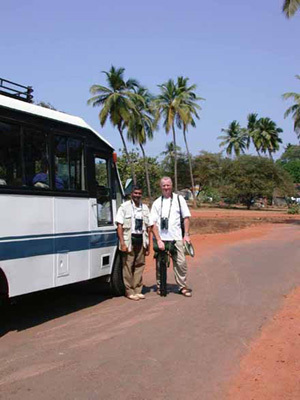 Our various trips with Lloyd (7 in total) cost 4350 Rupees each (8700Rs - c £108.75 in total). Not the most expensive birding ever but certainly the most enjoyable to date. Goa is an excellent birding location with very friendly people and a wide variety of restaurants providing food for all tastes at ridiculously cheap prices (by European standards). One word of caution – the people are poor and generally have no sanitation or rubbish collection facilities. It is therefore not unusual to see the roadside and beaches used as toilets. Despite all drawbacks and the lengthy flight we both enjoyed Goa and in all likelihood will return to India at any early opportunity.